I have been using crystals since I was very young, I got my first crystal ball when I was 12 years old - the year after I was gifted with a deck of Tarot cards. I love crystals, they resonate with the fairy in me. Around the same time we visited Stonehenge, I could hear the stones talking to me and telling me stories of their movement from the west. At that time I don't think they knew about the stones hailing from Wales in the west of Great Britain. Stones have always resonated with my soul and this resonance appears as language, sometimes in colors, words, sounds, or feelings. I've been asked a number of times over the past six months if I would teach a course on crystals. Much of the information I have comes from my own work with crystals. I gain knowledge from books and teachers, but my experience colors my knowledge of these "beautiful little people." It's natural for me to create jewelry and art pieces with crystals and gemstones - they tell me where they want to go. 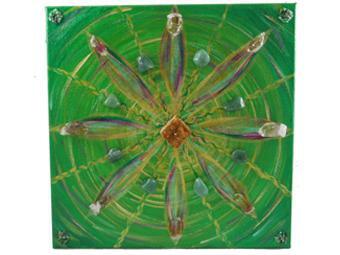 Check out the Crystal Grid Painting I did, this is something you can create too. So back to your central sun. In many Crystal Grids a central stone is added, like a central sun. This is a master stone and acts like a conductor for an orchestra of vibrations. The central stone is like you. 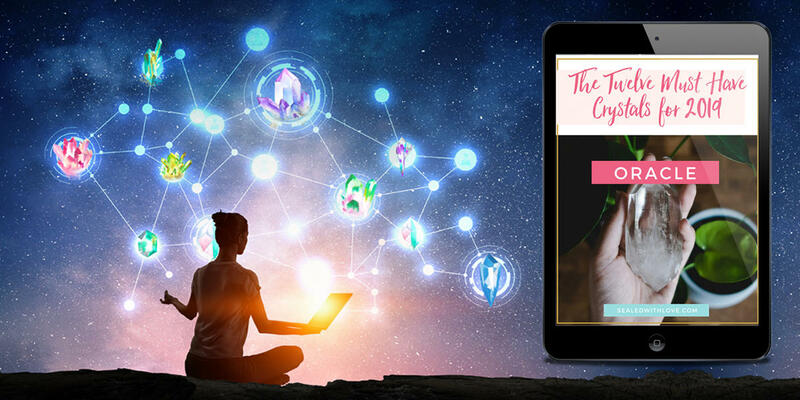 You are the master crystal at the center of your energy field. 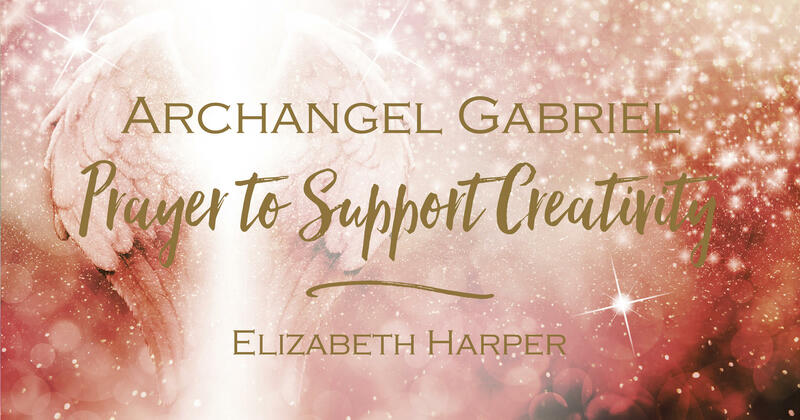 You orchestrate everything around you, whatever you vibrate with - love, sadness, abundance, etc - will resonate with and draw to you like energies. You're not much different than the crystal at the center of a grid. You can use crystals to empower your intentions and infuse your energy field with positive vibes. They'll work from your core outward. Just hold the crystal at your solar plexus or at your heart to activate the energy of your intention. Affirm your positive intention three times then keep the stone close to you, wear it, or sleep with it under your pillow. 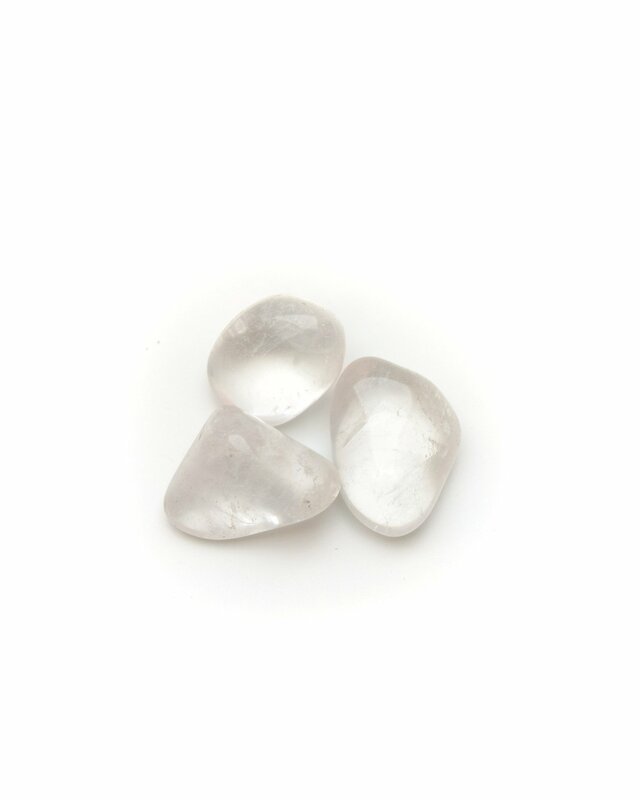 You can choose a stone that you know has the same qualities you're looking to manifest, or you can go with something like clear quartz, this is a great crystal for everything you want to energize. Clear quartz amplifies your intentions. Crystals love to be of use, so giving them a job like this helps them to fulfill their mission. Some crystals are specifically aligned with healing vibrations for your physical wellbeing. There are a mind bogglingly large number of crystals for one thing or another, so one of the ways you can figure out which crystal to use is through color. Let's say your body is split up into a rainbow. 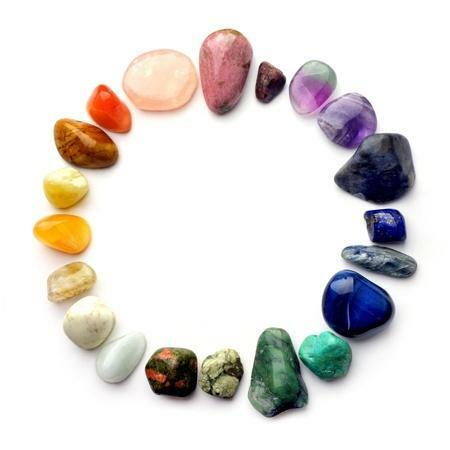 If you know about the chakra system then its easy for you to find a crystal that aligns with that chakra. Look at the image to the left. 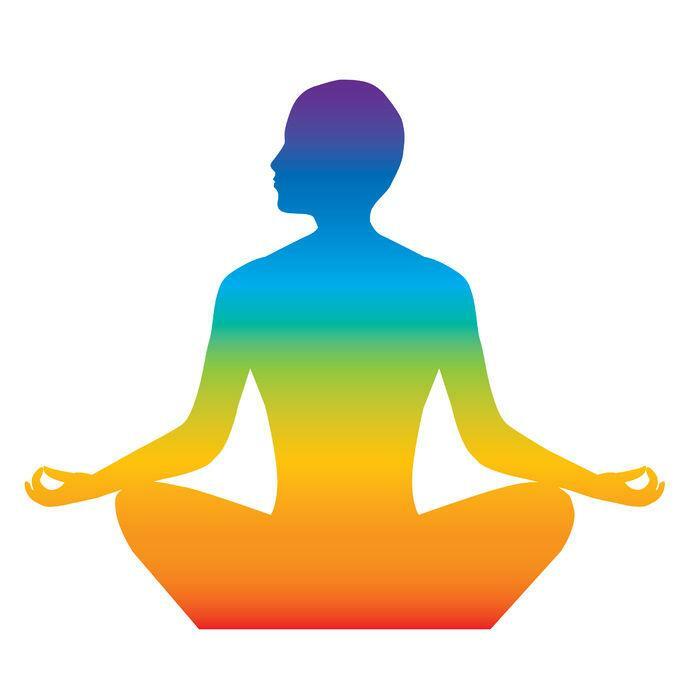 The colors moving up the body correspond with the chakras. Use a crystal with the same color as the area you wish to bring healing to. So for instance, if you have a sore throat then in the image the throat is blue. Find a blue crystal that "speaks" to you. Blue crystals like Angelite, Celestite, Blue Fluorite would work wonderfully. You can wear the crystal, meditate with it lying on your throat, or make a gem elixir to drink. If you're interested let me know in the comments below if you'd like me to share more about gem elixirs. I can't tell you how many emails I get from people that own crystals but don't know how to care for them. Each crystal is like a child and needs to be nurtured and loved. Ask them what they need and they'll tell you, but there are a few ground rules when owning them particularly around cleansing. 1. Do not place your crystal in direct sunlight. It's OK if they're in a window and they get light, but direct sunlight can strip them of their color. Upi can have them in the light for a short amount of time, but don't forget they're there. They've lived beneath the surface of the earth so its like being blinded by the light, their color can disappear and it won't return. 2. Do not soak crystals in water. OK, so lots of websites tell you to do this, but some crystals especially the anhydrous ones like Angelite will take on water, lose their color and eventually dry out. Dioptase is another stone not to soak in water. It won't take away from their ability to work, but it will weaken their structure and their beauty and could eventually cause them to crumble. If you want to use water then holding a crystal or stone under running water would work best. 3. Be very careful with salt. Some people like to bury their crystals in salt, but again, some crystals are not able to tolerate the harshness of salt. Opals for instance can crack in salt. The best practice is to leave salt out of the cleansing process altogther, its corrosive to many crystals and stones. So how do you cleanse your crystals? Use energy, running water for a brief time, smudge them with sage. I use a LOVE POTION I channeled the recipe for that contains essential oils. I just spray a small amount on them and wipe them down. This is what I use on ALL the crystals I offer in my store. I program them before they leave and I feel their excitement as they journey to their new companions. A crystal from Elizabeth's store is somehow more powerful than crystals I have purchased elsewhere. The emerald is beautiful and an amazing mixture of green, grey and black swirls. The card explaining all that emerald can do is so helpful. Elizabeth wraps the crystals so beautifully, reminding me that crystals are a gift. I highly recommend the emerald! I am planning to only get my crystals from Elizabeth from now on! ~ Catherine A. When you receive a crystal honor its purpose in your life and its mission on this earth. They choose to move from place to place. We might think we're purchasing a crystal and that's all there is to it, but there is so much more going on. Crystals are messengers from our Earth mother Gaia. They are her children, energized and ready to bring healing to both the planet and to us. Through them we connect with her. 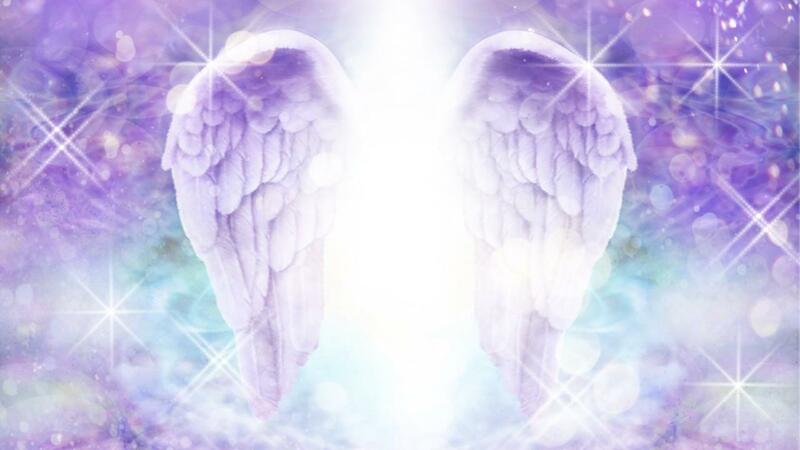 They help us to awaken our true mission on this planet and guide us to ascend to new heights. Give them love. Meditate with them. Talk to them. Put them in a place where they will be part of your life and not tucked away somewhere never to be seen again. They can still do their job whether or not they're seen, but your love increases their strength - no one really shares anything about that part. It's always what crystals can do for you, but as a LIGHTWORKER it's a two way street. So respect, honor and offer appreciation for their work with and through you. They will LOVE you for it. 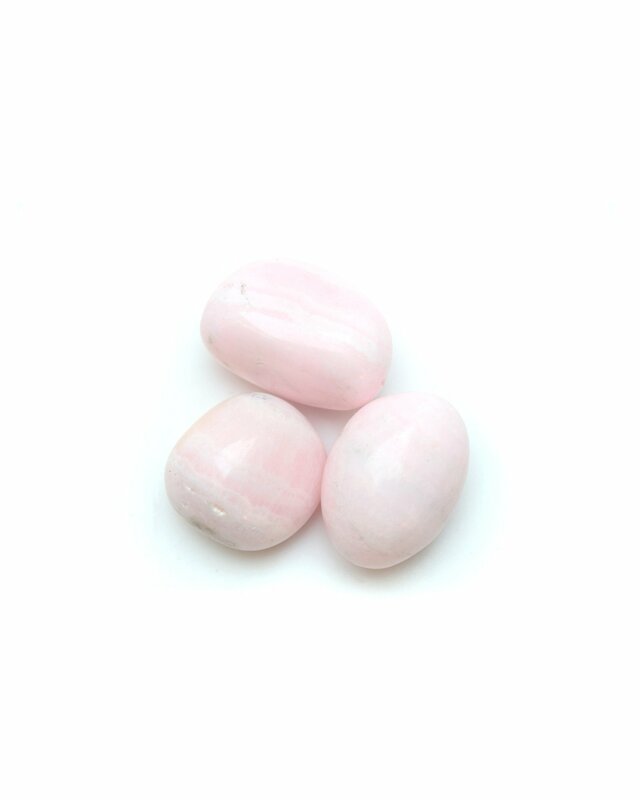 If you LOVE crystals remember to watch my monthly Crystal and Astro ColorScope VIDEOS in the COLORSCOPES AND ANGELS section of my website and check out my store for more crystals. Katerina Thank you Elizabeth for your article - Love Notes :) ! I appreciate that I can finally know how to care for my crystals. I have lots of bracelets. I am very interested in your Love Potion and Gem Elixirs at all! Please, where can I purchase crystals from your store? I can't find it. Feather I love the connection you have with them. It is truly a connection and understanding of them. It is so much as connecting with a friend. It is totally different then anyone else I have seen so far and beautiful. I really can't put it into words. Jeraldine I love the crystals I purchased from your store! Thank you for sharing and yes, I too would like to know more about gem elixirs. Do you recommend any books about crystals? Kelly Thank you Elizabeth! I know a little about crystals but I found that quite informative....you are just plain wonderful! Yes, I'd love to hear what you have to say about gem elixirs! Again, many thanks and lots of love to you!